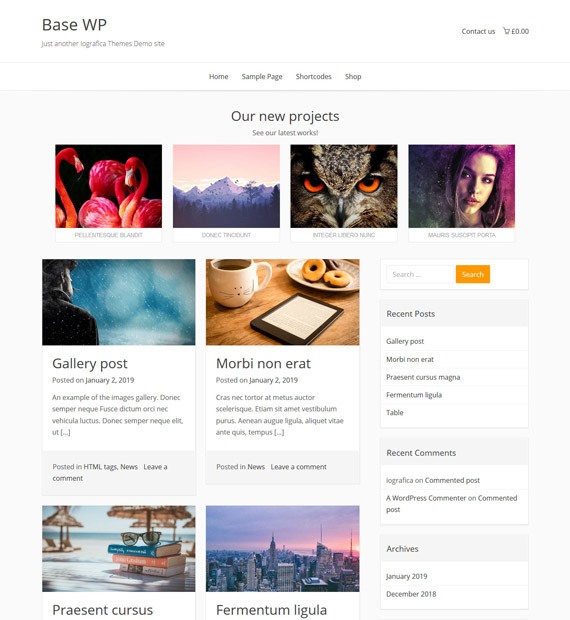 Base WP is a beautiful and elegant theme for WordPress that works perfectly on desktop, mobile as well as tablet devices. Suitable for personal, business or even eCommerce sites, this theme is WooCommerce compatible, translation ready, SEO friendly, as well as cross-browser compatible. Not only that, you’ll find that Base WP has also been fully integrated with the fantastic popular plugins such as Yoast SEO, Elementor, Beaver Builder, just to name a few. With a few clicks, build the website you’ve always wanted with its Live Customizer.